So, just over two years ago, I made a post about rumoured Hunger Games casting. I figured I'd do with it what I did HERE with the City of Bones cast. Amber Skye and I made our own cast for the upcoming Mortal Instruments movie, and I compared our original thoughts to the end result HERE. On October 29, 2010, I posted about the rumoured Katniss possibilities, and who I thought should be Jace (HERE). 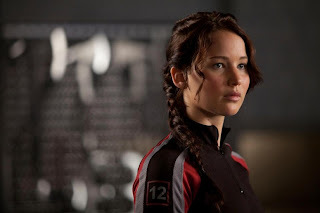 There were many rumours for Katniss, including Kristen Stewart, Malese Jow, Kaya Scodelario, and Chloe Moretz. I was completely against Kristin Stewart because of the whole Twilight fiasco. My favourite was Kaya Scodelario, because she looked the most like my imagine of Katniss, and I believe she could pull off the hard- shelled Katniss. I was so against Jennifer Lawrence in the beginning, because I didn't like the idea of anyone playing Katniss (unless it was me...). However, after seeing the movie, she was PERFECT. She was so good. Alex Pettyfer is pretty much a Greek God, who was put on this planet for me to drool over...And I like to cast him in all of my movie roles, hoping that I will one day get just ONE. I usually cast him in all blond guy roles (Jace, Peeta, etc. ), however, I sometimes try to sneak him into a brunette role. I tried to cast him as Will Herondale, until Amber Skye, my affiliate, made me see the error of my ways....and the hotness of Douglas Booth. Anyway, he is not my perfect Peeta, he probably would have been if he he's actually my perfect Jace Wayland. 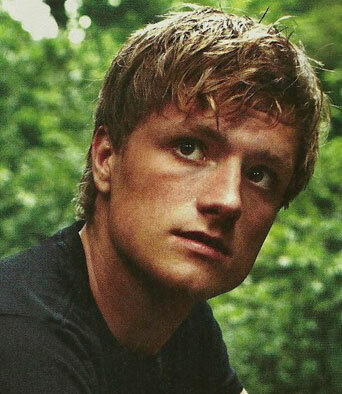 However, I picked him as the closet boy I could think of at the time, and I really like that picture of him for Peeta! At first, I was a little offended, I kept saying " EW Why did they pick some short, brunette random that I have never seen??". Yes, don't kill me. I have now seen the movie, and the error in my ways. I LOVE HIM *fangirls* They could not have found a more perfect Peeta in my mind. It turns out the casting people knew more than I thought ;). That being said, I can't wait for Catching Fire to come out next year! If you haven't seen The Hunger Games yet, please watch it!! Even my sister, who dislikes any stories other than real-world ones, watched Hunger Games five times.